Buckinghamshire Golf Club is a magnificent John Jacobs-designed parkland course and offers one of the finest venues for a corporate or society golf day. Bounded and crossed by the Rivers Colne and Misbourne, the enjoyable 6,892-yard layout offers a challenge to every standard of golfer. The club has hosted numerous major events, we are the home of the Ladies European tour, hosted the ISPS Handa Ladies British Masters 2012, Several Senior Tour events, Anderson Consulting matchplay and Open Qualifiying course 2011 – 2015. 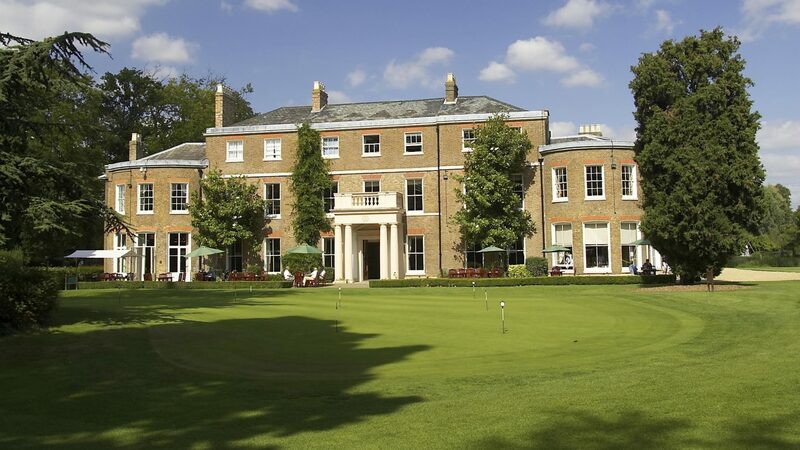 The clubhouse is contained within the elegant surroundings of the historic Grade-II listed Denham Court Mansion, which offers the perfect environment for corporate days and large societies. Buckinghamshire Golf Club features large and varied teeing areas and large greens, which offer both easy and difficult pin positions. Hole lengths vary to make golfers use every club in their bag and every shot in their repertoire. Water hazards and bunkers have been sited to place a premium on accuracy. In creating its superb fairways, great attention was given to drainage, beginning with a specifically compounded sand base, which provides great tees and greens all year around. Off A40 (M). M25 junction 16, M40 Junction 1. (See website for more details). Practice ground, putting green, short game area, driving range, professional tuition, custom fitting centre with Flightscope facility. Full professional service from our professionals for your golf day, including personalised scorecards, scoring, ‘Beat the Pro’, video analysis and much more. Overlooking a beautiful stretch of the River Colne, our Heron Restaurant is open to members and non members every Sunday lunchtime. Function rooms available for weddings, conferences and private functions.